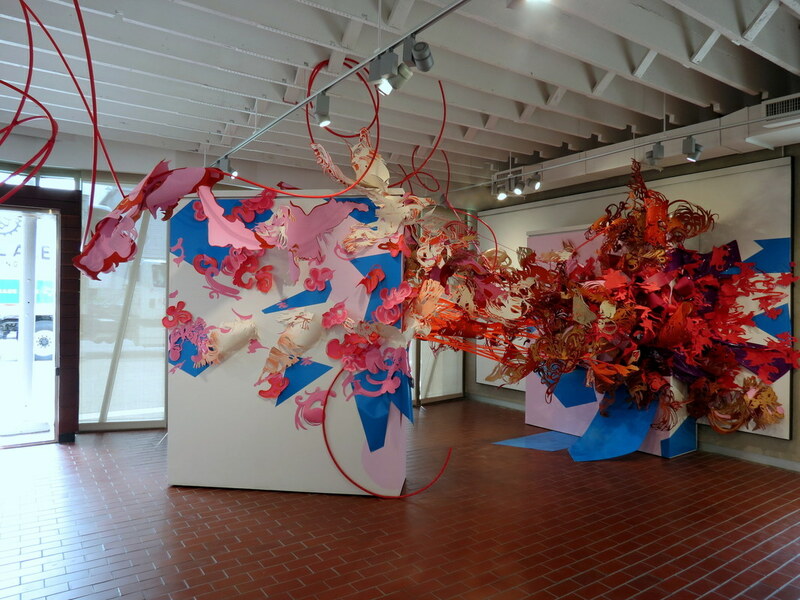 Samantha Parker Salazar creates large-scale installations and works on paper. Salazar is a recipient of numerous awards and grants, including an ArtPrize Nine Seed Grant, Greater Columbus Arts Council AITC Grant, and Emerging Artist Grant for the Columbus Arts Festival. Her exhibition record includes national and international venues as well as public and private collections. Salazar earned an MFA from The University of Texas at Austin in 2014 and a BFA from Bradley University in 2011. 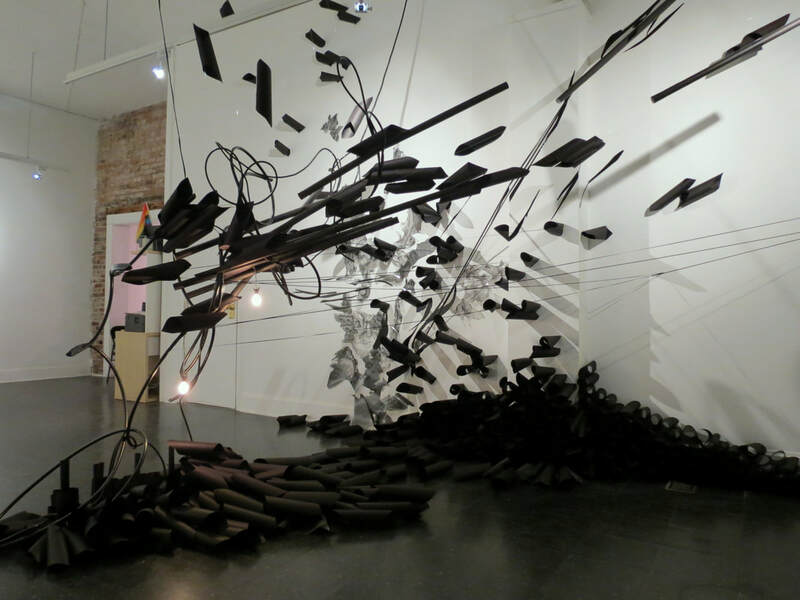 In 2014, Salazar was granted a John Fergus Family Post-MFA Fellowship at The Ohio State University, where she was a resident artist and lecturer in the printmaking area. She has taught workshops at Flatbed Press, Urban Arts Space, and Southwest, Inc. Recent public projects include a permanent installation in the lobby of the Courtyard-Marriott Austin and a pop-up installation for the Columbus BIA Parade of Homes. Coming in 2018 is Blueprint, a permanent installation for the new Woodbourne-Centerville Public Library. Salazar is currently based in Columbus, Ohio and is a museum instructor at The Dayton Art Institute. I grew up with an interest in drawing and painting. The act of putting brush or pencil to paper eventually evolved into other methods of making art. It is a sort of creative storm that has always followed me. When I was nearing the end of grad school I started cleaning out my flat files. An overabundance of prints in the files led me to lose all sense of preciousness, and soon I was cutting them up. From there, I began playing with the cut-outs as small compositions on my kitchen table. 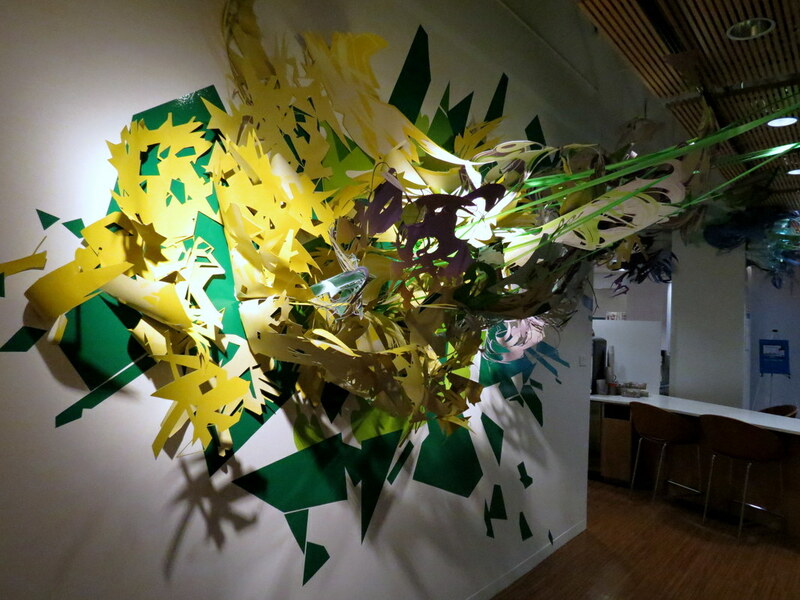 The malleable pieces inevitably made it to the wall of my studio, where I pinned them in all sorts of precarious ways. Today, I enjoy the complexity of building a three-dimensional installation out of two-dimensional objects. My favorite time to create has always been first thing in the morning. I love to wake up before the sun, drink a coffee, and get to work! As for time management, my weekly studio schedule is absolutely necessary. I lay out tasks for each week so that I am able to stay on track with multiple projects at once. It is increasingly rare to find me working on just one project at a time. Currently, I am finishing up the components for two installations and frames for a solo show this fall. My love of the creative process—the simple act of conjuring something out of thin air—is what motivates me to continue working every day. For me, it produces the sensation of excitement like nothing else can. That is why I fell in love with the process of using paper for sculpture; it feels like uncharted, challenging territory. I think the moment my scalpel blade first met paper was the same moment I lost my fear of messing stuff up. I don’t care if I mess it up anymore. The paper has become a material that essentially melts in my hands. I cut it, tear it, bend, score, and fold it. I twist it and weave it, I burn it, paint on it, draw on it, and more. Being able to give up control was one of the greatest areas of development as I have matured as an artist. I enjoy controlled chaos and believe we need both ends of the spectrum to grow. For example, the installations involve some loose sketching, but I rarely go beyond one or two sketches. When I first see a space, there is an instant idea for the movement I would like to see in there, and then I figure out my color palette and concept once I start thinking about the nuances of the architecture and, in some cases, the history of the space itself. On site, the process is about 40% planned at 60% improvisation. Coming up next, I will be installing a collaborative project at ArtPrize Nine in Grand Rapids for which we were awarded a seed grant. I have five solo shows slated between now and 2019 as well as a handful of group shows. Next summer I will be installing a permanent statement piece in the vaulted ceiling of the main entrance to the new Woodbourne-Centerville Public Library near Dayton, Ohio.